EYI Industries, Inc. is in the business of selling, marketing and distributing a product line consisting of approximately 26 products in four categories: dietary supplements, personal care products, water filtration systems and a fuel additive product. Its product, Calorad is a liquid collagen-based dietary supplement available in the market. For the year ended December 31, 2006, Calorad sales represented over 65% of the Company’s net sales. In 2006, the Company launched Ultimate ME2, which generated 6% of the Company’s overall 2006, gross revenues. The Company’s products are marketed through a network marketing program, in which independent business associates (IBAs) purchase products for resale to retail customers, as well as for their own personal use. It has a list of over 385,000 IBAs. 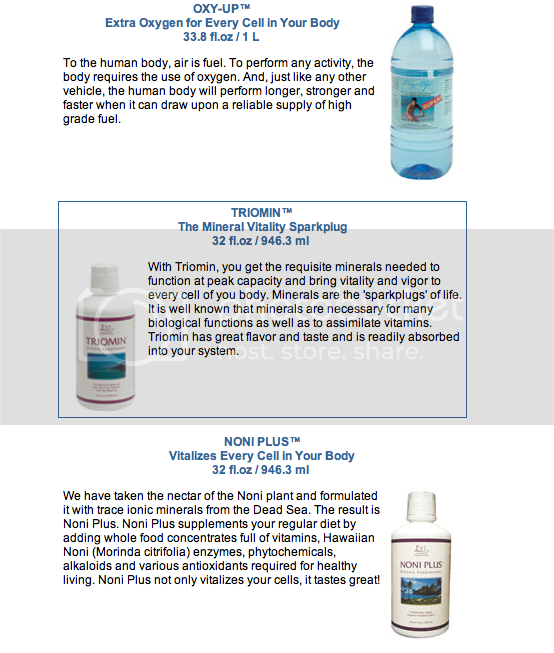 EYI Industries Inc. and its affiliates (EYI) market world class nutritional supplements. Throughout our history, our Vision has been to become the leading provider of wellness products and business opportunities in all our markets. 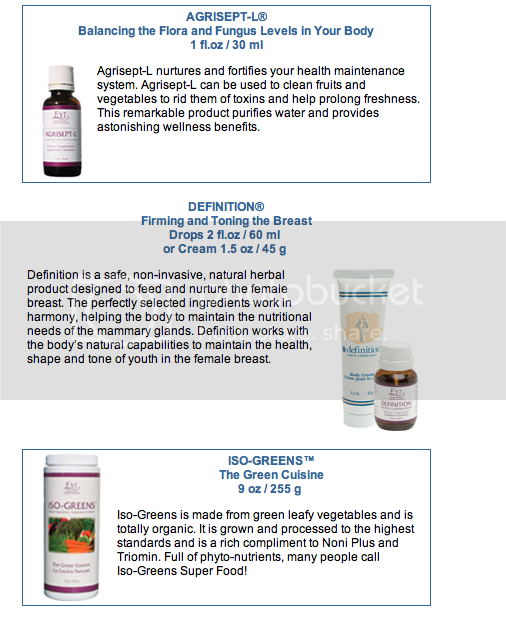 Our wide range of products create vitality and foster a sense of well-being in all our customers. EYI operates throughout North America where it has extensive distribution and sales operations. 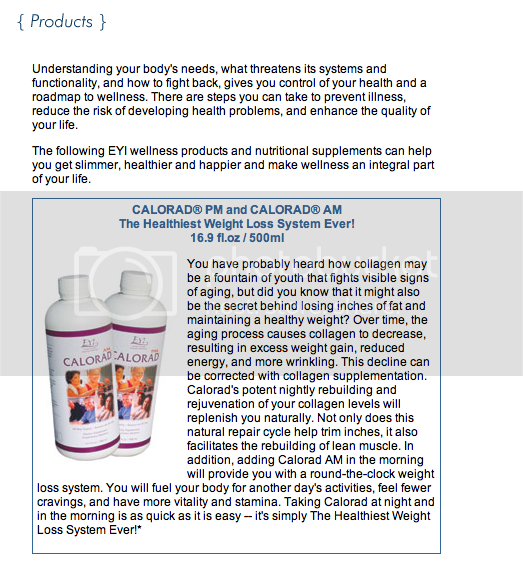 We have sold over six million bottles of our flagship product, CALORAD®, since EYI began in 1995. On January 2, 2004, EYI became a Public Company to enhance and support the growth of the Company's products and services. Whether you are a shareholder or simply want details on our financial performance, Investor Relations is committed to providing helpful and timely information.